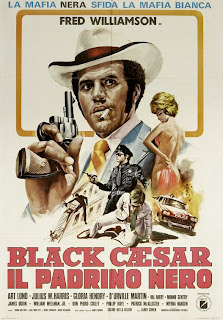 "Paid the cost, to be the boss" sings James Brown in the outstanding soundtrack, whilst Fred Williamson walks down the street as the king of Harlem, in Black Caesar, and you know, you are watching something special. 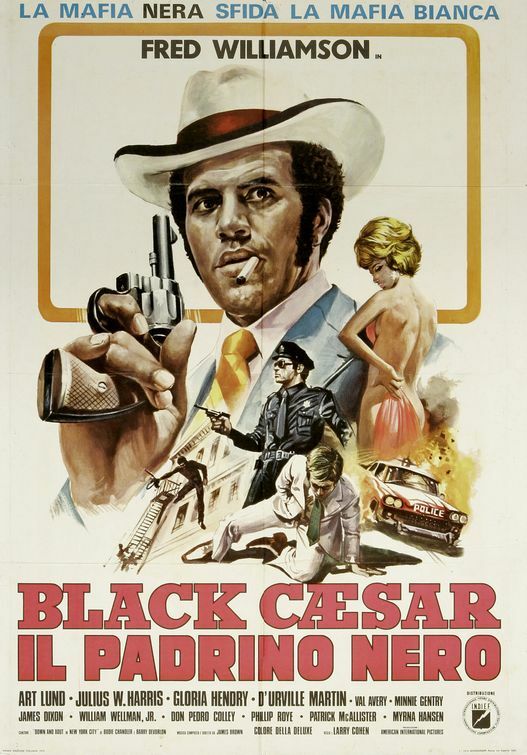 There's the usual blaxploitation inventory of crooked cops, swinging pimps, voluptuous women, way too many guns, wisecracking wiseguys, mafiosos, hoodlums and honkeys. And as usual it all takes place in a funky 70s world, where everybody is busy looking laid back and dangerous at the same time. It almost gets too much at some points, but this film is such a thoroughbred artifact of awesomeness, you can't help enjoy every second. The ever under-praised Larry Cohen directed this gem, and as always, his name on the poster is a sure proof of quality. If you do a google search for lists of the very best blaxploitation, you will find this film on at the top of most, and with good reason.